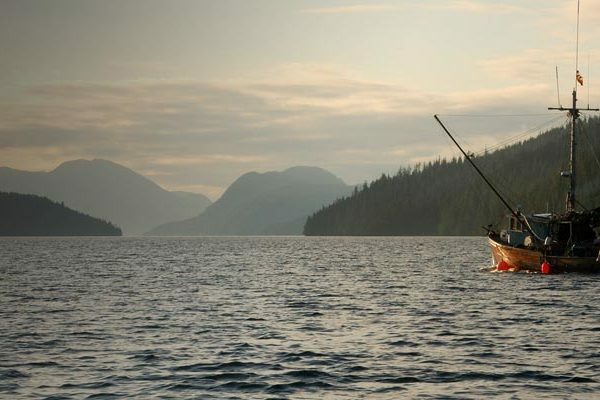 Fisheries and Oceans Canada’s marine protected area planning process relies on detailed information on interactions between human activities and key marine species and ecosystems to balance conservation objectives with social and economic opportunities within the planning region. The BC coast is one of the most ecologically important marine areas in the world and provides important economic and cultural values. In response to mounting cumulative pressures on this region, the federal, BC, and First Nations governments are pursuing an integrative marine planning process to protect ecologically important marine areas. One important component of this initiative is identifying candidate areas for protection through a participatory process that involves First Nations and public stakeholders and which addresses multiple interests for this marine space. This process relies on detailed information on the interaction between human activities and key marine species and ecosystems so that MPA networks will minimize user conflict and balance conservation objectives with social and economic opportunities for communities within the planning region. The objective of this project was to better understand the full spectrum of human uses occurring or anticipated to occur (e.g., resource extraction, renewable energy, fishing, transportation, etc.) in the Northern Shelf Marine Bioregion and how they might interact to produce individual and cumulative impacts on ecologically and socio-economically significant species and ecosystems. ESSA worked with the multi-agency Marine Protected Area Team led by Fisheries and Oceans Canada to systematically collect and synthesize the best available information on the impacts of a wide range of human activities on a list of ecologically sensitive species and communities associated with coastal ecosystem goods and services. Information for each activity-species or activity-ecosystem interaction was collected through intensive literature review and evaluated for overall impact potential and strength of evidence using a rapid vulnerability assessment framework adapted from O. et al. 2015. Overall potential impact scores and strength of evidence scores were catalogued in a database that was used to produce intuitive data visualizations in R summarizing the results across species and activities. The project has generated over 1,000 pages of capsule literature reviews for over 600 individual species-activity combinations, and this information was effectively synthesized into a 20-page executive summary including data visualizations generated in R to summarize large volumes of data at a glance. The resulting encyclopedia of marine impacts will serve as a key reference resource to inform site prioritization and zoning decisions in the marine protected area planning process within British Columbia’s Northern Shelf Marine Bioregion.